A Combo class is an excellent way to introduce your child to a classroom environment learning how to follow directions, sequence tasks (movements and steps) and develop participation skills, such as active listening, through dance instruction. To begin Combo your child must be 3 - 5 years old. Combo classes meet once a week for 45 minutes. In this time, your child will learn pre-ballet, tap, and tumbling. Through the use of props and upbeat music, your child will remain actively engaged for the entire class time. Changing his/her own shoes each week and participating in a class without Mom and Dad will give your child a sense of independence. You won’t want to miss seeing the joy of accomplishment on your child’s face when he/she comes off the stage at our annual spring recital. Combo is a great entry level class for our young dancers. Jazz dancing is fun for all ages! Classes are offered for children as young as five. In Jazz, dancers listen to upbeat music while learning the many different styles of Jazz. Jazz is a great form of exercise and will help with flexibility, strength, agility, rhythm, and so much more. We offer three levels based on previous experience as well as age. Beginning Jazz class meets for 30 minutes each week, other classes will meet for 45 minutes. All students will have the opportunity to show off their new skills in our annual spring recital. Tap dancing is an exciting class for students aged 5 through the high school senior. Students enrolled in tap classes will build fine motor movement, as well as rhythm, and whole body movement all while finding the joy of making music with their feet! We offer three levels of Tap, each Tap class will meet 30 minutes once a week, and will perform in our annual spring recital. will help mold your child, while letting him or her express creativity. terminology are presented according to students’ ages and development. We offer various levels of ballet according to age and experience. Beginner: Let your young one live out his or her dream of being a ballerina in this entry level class. Dancers may begin Ballet classes at 5 years old and will meet weekly for 30 or 45 minutes. Beginning classes will focus on creative movement while introducing technique and terminology to help dancers develop a foundation that will support them throughout their continuing years of dance. All beginning students will perform in the spring dance recital. Intermediate: These fun-filled ballet classes will meet weekly for one hour. Each week ballerinas will learn technique through the use of barre, floor exercises, performing across the floor, and learning combinations The focus will be on technique including proper body position, balance and being aware of the whole body at all times while continuing to encourage creative movement. All intermediate students will perform in the spring dance recital. Advanced: These classes are for the trained and serious ballerina. Advanced Ballet classes are one hour in length and In these intense classes, ballet dancers must be focused and ready to learn. These classes are fast paced and enjoyable for the total dancer, where we will continue to build technique, while learning more difficult steps, turns and leaps. Our advanced Ballet students will perform in our annual spring recital. Pointe Classes: To begin Pointe Classes dancers must have extensive ballet training and a teacher approval. Pointe dancers must have a competent knowledge of Ballet technique, strong ankles and know proper body placement in order to avoid injury. These classes meet for 45 minutes once a week. Pointe dancers enjoy this wonderful art and have the opportunity to show off their skills in our annual spring recital. Lyrical dance is an expressive genre of dance where students learn to express their emotions through movement. Lyrical classes are offered to dancers who are enrolled in a weekly Ballet class. Our Lyrical classes meet once weekly for 45 minutes each week. In this time, students stretch, dance across the floor, and learn lyrical combinations. We offer three levels of Lyrical classes beginner, intermediate, and advanced. These classes present a great opportunity for your child to find an emotional outlet through the art of dance and will perform in our annual spring recital. Our Tricks and Turns class meets for 30 minutes each week and focuses on conditioning and progressions. This class focuses on different turns, leaps, and various “tricks” that are popular in the dance world. This class will help increase confidence through focusing on areas that are often a struggle for some dancers. 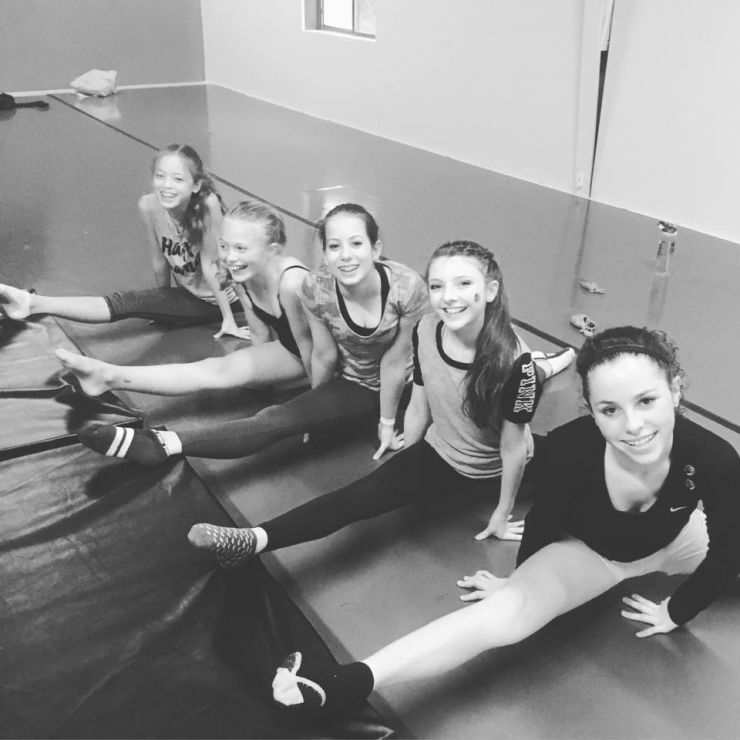 Tricks and Turns class is beneficial for your dancer, aiding them in Ballet, Jazz, Lyrical, and Musical Theatre. Our stretch class focuses on proper flexibility training and strengthening of dancers’ muscles. Company is for the dancer who wants to take their training to the next level. DDA's elite dancers receive the opportunity to compete 3-5 times a year on a regional and national level. To join the competition team auditions are required.